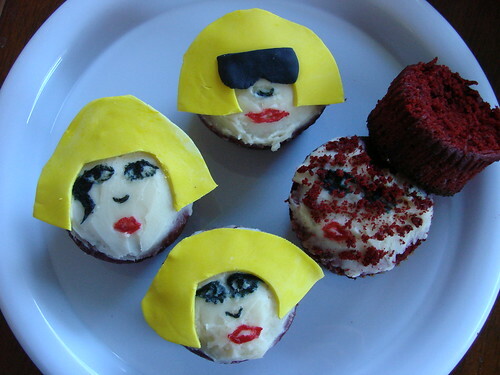 Blondie and Brownie: Lady Gaga Cupcakes! 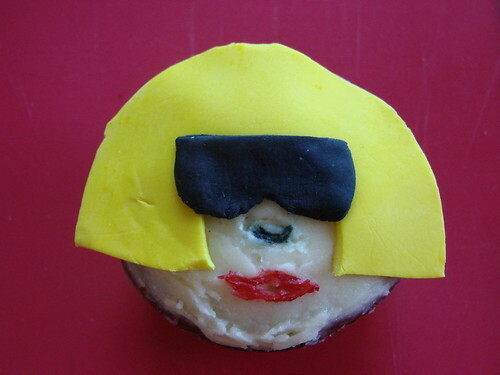 Why Lady Gaga? Well, why not? 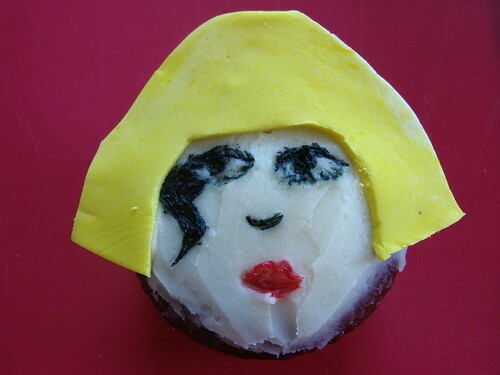 If I can do Liza Minnelli as a cupcake, surely Lady Gaga deserves to be one, too. 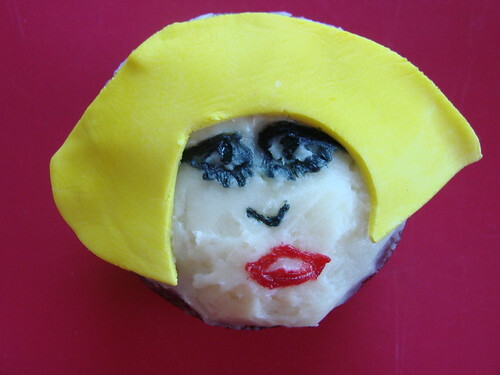 Liza was all sparkly and Funfetti on the inside, but for Gaga, I knew that she'd need a different cake. Then it hit me. 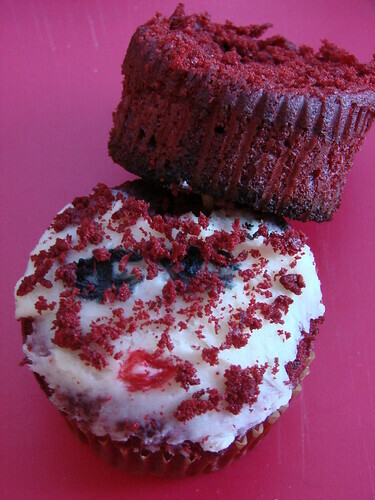 Red Velvet--edgy, unexpected yet widely popular. I am dying right now! LMFAO! You need to hang one from a chandelier. red velvet seems to be my obsession as of late....they look adorable!! great job !! rofl. The sunglasses are fabulous.